We’d love your help. Let us know what’s wrong with this preview of One Tuesday Morning by Karen Kingsbury. To ask other readers questions about One Tuesday Morning, please sign up. Can I get this book in audio version? Is this book child friendly? This is the first book I ever read by, Karen Kingsbury. 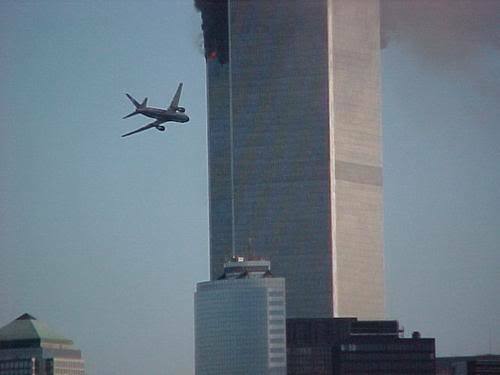 I saw it at the store not long after 911, and because of that, wasn't sure I was up to reading anything about 911. Only because of the fireman on the cover, I bought it. My husband's a fireman. Well, I was quickly drawn into the story. It was well written and a great read, keeping you turning the pages, wanting to see what happens next. I finished the book, and thought it was really good; I couldn't get the brother, Clay, out of my mind. I really like his character and felt so bad for him. Little did I know, there was another book. Beyond Tuesday Morning. And guess what...Clay's back! I can't tell you how excited I was to not only find out there was more/another book, but that it was about my favorite character from the first book...Clay! This book, centered around the 9/11 attacks, is a very poignant novel with heavy Christian themes. Jake Bryan is a fireman who believes in God while his wife, Jamie, is a nonbeliever who doubts his faith. Despite this, the two are very much in love and together, dote on their bubbly four year old daughter, Sierra. They live in Staten Island. Meanwhile, Eric Michaels is an ambitious businessman who puts his job before his wife and seven year old son, Josh, occasionally missing important events, s This book, centered around the 9/11 attacks, is a very poignant novel with heavy Christian themes. Jake Bryan is a fireman who believes in God while his wife, Jamie, is a nonbeliever who doubts his faith. Despite this, the two are very much in love and together, dote on their bubbly four year old daughter, Sierra. They live in Staten Island. Meanwhile, Eric Michaels is an ambitious businessman who puts his job before his wife and seven year old son, Josh, occasionally missing important events, such as his son's birthday. The Michaels family resides in Los Angeles. Eric soon goes on a business trip to his New York office on the 64th floor of the South Tower of the World Trade Center. The date? September 11, 2001. As Eric attempts to escape the building after his crazy boss begs him to stay to close a deal, Jake is heading up to the impact zone, an area he knows is rife with casualties. Eric falls. Jake helps him up. Their eyes meet. The two men are nearly identical in every way. Seconds later, they continue on their separate ways. Little do they both know their families will become intertwined as only one of them survives that treacherous day. As I said, this book is very poignant and a definite tearjerker. The September 11 attacks on America are not easy subjects to write about but Karen Kingsbury does so with grace, entwining the lives of these two families, and the Bible verses and lessons were helpful to a growing Christian such as myself. It taught me that even though bad things happen, God is still there to help you along the way. I did however have one major problem with this book, and that was the character of Jamie Bryan. I know she was meant to begin the story as a non Christian, but she was really self-absorbed, but even so, there was no need to portray her as a vain, selfish person. I meant I know she worried about her husband, but so were so many others and I can't believe she was so deluded as to want to tell people everything was okay because she was thinking her husband wasn't in the building, like since her husband in her eyes wasn't hurt, she didn't care about anything else. I wasn't very sure about this book. My first thought was that if it wasn't written with a lot of compassion then it would really do a great disservice to those that lost their lives on 9/11. However, the book came highly recommended from several people so I decided to try it. I had mixed reactions to the book. The thing that really stuck out the most was that the plot simply wasn't believable. However, this is fiction so I pushed that thought aside. The writing was OK but didn't wow me. The chara I wasn't very sure about this book. My first thought was that if it wasn't written with a lot of compassion then it would really do a great disservice to those that lost their lives on 9/11. However, the book came highly recommended from several people so I decided to try it. Karen Kingsbury is such a great Christian writer. I can't wait to read more of her books! This book drew me in and it was hard to put down. Recommendation: 15+ because of some things that happened in this book. My favorite character/s: Jake is my favorite character, he’s kind, loving, sweet, loyal, and faithful to God and family. I enjoyed reading his POV (Point of View.) He’s a great firefighter, dad, husband, and makes an interesting character. I loved how sweet he was with Jamie, how he was so kind and loving with Sierra. 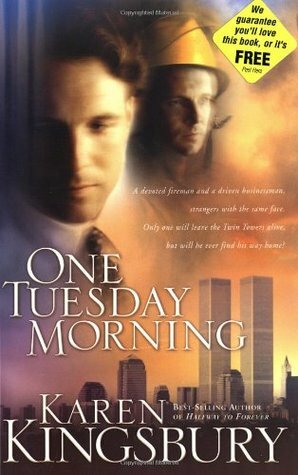 I don't often read romance novels of Christian novels specifically, but One Tuesday Morning caught my attention because I'd recently written a story on 9/11 myself and then when I was book-shopping, I saw the Twin Towers on the cover and I thought it looked kind of interesting, so I picked it up. I was four years old when 9/11 happened, and I still vaguely recall the television reports, and I was living on a little rural Canadian island at the time so for stories to hit the news where I lived, t I don't often read romance novels of Christian novels specifically, but One Tuesday Morning caught my attention because I'd recently written a story on 9/11 myself and then when I was book-shopping, I saw the Twin Towers on the cover and I thought it looked kind of interesting, so I picked it up. I had a hard time with this book. The fictionalized story placed in the 9/11 event felt too contrived. I know this is fickle of me to say as I love plenty of books that are a fictional story placed in a historical event. I wonder if this one just didn't feel right to me, because I remember 9/11 so clearly, and most other historical fiction I read contains events from before my lifetime. This book is pretty heavy on the Christianity aspect with lots of scripture quoting, prayer, and church attend I had a hard time with this book. The fictionalized story placed in the 9/11 event felt too contrived. I know this is fickle of me to say as I love plenty of books that are a fictional story placed in a historical event. I wonder if this one just didn't feel right to me, because I remember 9/11 so clearly, and most other historical fiction I read contains events from before my lifetime. This book is pretty heavy on the Christianity aspect with lots of scripture quoting, prayer, and church attendance. Being a daily-Bible-reading Christian myself this did not bother me but just surprised me a little. I listened to this one, and it had multiple readers. I decided I might actually prefer one reader when I listen to audio books. I liked the writing and would give another book by this author a chance. I think I'll just avoid 9/11 stories from now on. Made me cry so hard. I've known about this series for some time but chose not to read it. Nine Eleven affected every American. I wasn't ready to revisit it until now. As a reader, I knew it was coming. With each page turned I wondered if the next page would be painful. When the planes hit and the buildings collapsed, it felt like I was taking my daughter to school. We had just past the swimming pool when the radio announcer broke into the music I was listening to. The terror of that day came roaring back. What a story I've known about this series for some time but chose not to read it. Nine Eleven affected every American. I wasn't ready to revisit it until now. This was a little slow going, but picked up and then never stopped. I loved all the character involvement and the idea for the story line, while a stretch, really fascinating and sad and scary. The Christian undertones are tasteful and not over done which is exactly what I was looking for. They fit so well with the story line and the personalities of the characters. I also enjoyed not every character had the same level of faith. Definitely looking forward to the next in the series! There’s not much I can say about this that will do justice. It made me cry, it also definitely increased my love for my country. This is a must read for every American who loves their country! Although I have been close to God for many years, books like this only help me to grow my relationship to Christ! Thank you, Jesus for all those who choose to protect us, serve us, and put their lives on the line so that we may feel safe! Wow! This was a wonderful story. I definitely cried several times, but that was to be expected from a story about 9/11. This book really touched on how people can semi-understand tragedies and not blame God for them. And, how God can use these tragedies to bring people to Him. I highly recommend this book to both believers and non-believers. It does not preach to the reader, but God, and belief in Him plays an important part in the story. I've never read a romance novel before that left me bawling like a kid, but here it is. This book is raw, emotional and beautiful. I didn't think I'd like it that much... I must read the whole series! 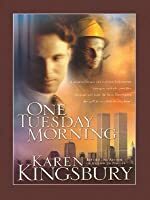 One Tuesday Morning by Karen Kingsbury is a tragic reminder of the events that happened on September 11 of 2001. Although this book is fictional, it is couldn’t be more accurate with this historical information within it. If I did not know any better, I may not have known it was not a true story. The attention that Kingsbury paid to detail is remarkable, and it really takes the book to a whole new level. 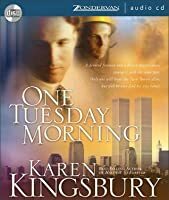 While the characters may be fictitious, the content could not be rooted in the truth any mor One Tuesday Morning by Karen Kingsbury is a tragic reminder of the events that happened on September 11 of 2001. Although this book is fictional, it is couldn’t be more accurate with this historical information within it. If I did not know any better, I may not have known it was not a true story. The attention that Kingsbury paid to detail is remarkable, and it really takes the book to a whole new level. While the characters may be fictitious, the content could not be rooted in the truth any more than it was written in. I believe that this book was not only written for entertainment, but also as an acknowledgement of respect for the people who were involved with that day. This book displayed a few notable themes throughout itself. One of the ones I noticed to stick out was its emphasis on faith. As a Christian, Kingsbury incorporates her religion into her books as much as possible, and this one wasn’t an exception. Christianity holds a big part of this book, which I enjoy very much. Another theme observed was love. Love was shown in many different lights throughout One Tuesday Morning. A few of these were the love between a husband and wife, the love between a parent and a child, the love between friends, and of course the love of God. However, sometimes it wasn’t love being shown, but rather the lack there of. Kingsbury really made the reader feel for the characters in the book, making it even more wonderful. One Tuesday Morning was written as a narration. It told a story through a series of chronological events. It followed the lives of two different families living thousands of miles apart. However, because of certain occurrences, these families’ lives came crashing together. It really paints an amazing picture of the time you read about. It is like watching a movie unfold in front of your eyes with only the use of written words. I loved this book. I am not an avid reader, but I couldn’t put this book down. I really liked the way it was constructed, and it was very well written. I had a hard time not tearing up at certain parts of the book, and that was surprising to me. The way she makes the reader feel about the characters is astounding. I would recommend this book to anyone who is at least in high school, only because of the advanced grammar and slightly mature content. The only thing I would want to change is the predictability of which character would make it out alive. Other than that, this was one of the best books I’ve read in a long time. A devoted fireman and a driven businessman, strangers with the same face. Only one will leave the Twin Towers alive, but will he ever find his way home? On the morning of September 11, 2001, two men meet in a smoky stairwell of the World Trade Center. One is Eric Michaels, a driven financial manager from Los Angeles who has been busy climbing the corporate ladder, often at the expense of his wife and young son. The other is Jake Bryan, a New York City fireman devoted to his wife and daughter. In A devoted fireman and a driven businessman, strangers with the same face. Only one will leave the Twin Towers alive, but will he ever find his way home? On the morning of September 11, 2001, two men meet in a smoky stairwell of the World Trade Center. One is Eric Michaels, a driven financial manager from Los Angeles who has been busy climbing the corporate ladder, often at the expense of his wife and young son. The other is Jake Bryan, a New York City fireman devoted to his wife and daughter. In the midst of the crisis, Eric falls on the stairs and Jake stops to help him up. The two men freeze momentarily, stunned by the uncanny resemblance between them. Later, after the building has crumbled to the ground, Eric awakes beneath a fire truck. He is burned and bloody and most of his clothes have been blown off. A fire captain rushes to his side, thinking he recognizes his friend Jake. By the time Jake's wife arrives at the hospital, Eric's face is bandaged and his memory gone. In the months that follow, Eric struggles to relate to a wife and daughter he doesn't remember, while on the opposite coast Eric's real wife grieves and finds comfort from Eric's brother, a single man who has always adored her. The emotional suspense builds as Eric begins to have disturbing dreams and flashbacks---and questions grow in Jake's wife's mind. The only way for Eric to find his way is by following the love of a special woman, and the footsteps of a man who no longer exists. This is one of the most emotionally involved books i have ever read. I had to stop to take in all i was reading a few times. Yet i couldn't put it down. You just HAVE to know what happens next. I've owned this book for 15 years and have never gotten past page 5. I have severe anxiety and haven't been able to push past it until now. I am really glad that I did. This is an amazing story about 2 very different families connected by the tragic events of 9/11. It is heartbreaking and heartwarming all at the same time. A beautiful read for anyone who doesn't mind shedding a lot of tears. Finished reading One Tuesday Morning by Karen Kingsbury yday & started reading its sequel last nyt. I learned that what matters in life is Jesus alone. He holds ur world when everything else falls apart, when ur loved ones r gone, when u lost even urself or even ur identity, the only person that will matter is Christ a...lone. He then can choose to allow u to stand up, move on & find yourself once again in Him. Climbing the corporate ladder, yearning power and pursuing success in this wor Finished reading One Tuesday Morning by Karen Kingsbury yday & started reading its sequel last nyt. I learned that what matters in life is Jesus alone. He holds ur world when everything else falls apart, when ur loved ones r gone, when u lost even urself or even ur identity, the only person that will matter is Christ a...lone. He then can choose to allow u to stand up, move on & find yourself once again in Him. Climbing the corporate ladder, yearning power and pursuing success in this world according to the world standard is just but rubble, trash, garbage, and dung, in the eyes of God. Whey are we killing ourselves in clamoring for all of these when we have Jesus in our lives, is what I can't understand because in the end, it wouldn't matter anyway. After all, in heaven, the gold that most of us are in pursuit of, are just mere roads that are being trampled upon! 2. The time we spend with our family and love ones. 3. How much we spend our time in reading the bible, having quiet time but most of all encountering God in His Word. I liked this book although I kind of wish I didn't' already know it was a case of mistaken identity. Don't worry this is not a spoiler alert you know this from the very beginning. I guess the book has gotten some criticism for not being historically accurate to the time line of events that day. That does not really bother me, its a fiction book so I expect some poetic license, also the author notes in the beginning tells you upfront that she changed a few things around from that day, so I don't I liked this book although I kind of wish I didn't' already know it was a case of mistaken identity. Don't worry this is not a spoiler alert you know this from the very beginning. I guess the book has gotten some criticism for not being historically accurate to the time line of events that day. That does not really bother me, its a fiction book so I expect some poetic license, also the author notes in the beginning tells you upfront that she changed a few things around from that day, so I don't see why everyone is so bent out of shape. With all of that said, the idea that two identical strangers cross paths on that day and one of those strangers is thrown right in the path of the other strangers friends is a little implausible, but I shall hold judgment until the end. This story takes me back to that fateful day on September 11. I was in computer class at north like when the teachers turned on the tv for our class to witness the worst terrorist attack that we had ever seen. I was compelled by this story of events that took place and a deeply rooted Christian story that very well could have taken place. It answers questions about God and faith that so very many have about death and tragic events while running home the main point of keeping our eyes on Jesus throughout our lives each and every day and trying to become more like him each day. A man with amnesia finds his way to right relationship with God and family through the death of a strong Christian firefighter. The story was useful in helping me to identify with the suffering of losses occurring at the collapse of the Twin Towers, but the final chapters were not well written. In my opinion, the decisions made by key characters, especially in the final chapters, were not reasonable ones. i learned that no matter the circumstance that god always has a plan for us even when we dont see it when we are going through the toughest things in our lives. that no matter what god know where we are and that is has never let us down. The hardest thing somethimes to do is to let god be god in your life. i also learned that you need to really have the peace of god. Oh my gosh - get some kleenex but so good! It's about Sept. 11th... about a fireman and a businessman. One lives. One doesn't. Fiction, but felt so real. A little tough to relive that morning, but a lot of it is about after that day. A look at how God can take pure evil and change those lives to go beyond and heal. This book is very good!!! I am not a big fan of Spiritual Fiction, but this book was AMAZING!!! It centers around 9/11 and 2 families waiting to hear from their missing. It was such a great story, and a really great cry!